Agrarian since the 1910s, our patrons appreciate we oversee all facets of production – from growing & harvesting, to milling & packaging of Japanese style rice & flours. Today, we also partner with select local farmers in our ongoing pursuit of rice nonpareil. We use Kokuho Rose brown rice from Koda Farms. It is a medium-grain rice, unparalleled in quality, with a complex yet delicate flavor. Seriously the best brown rice we have ever tasted. All rice is not created equal. The first time you boil a pot of Koda Farms brown rice you will be struck by the difference. Its texture and sweet aromatics set it apart. Lean in a little more and you will taste the commitment and passion of three generations of rice farmers in every grain. Soon after we moved to LA we met Robin and began using Koda Farms products at our restaurant. The rice and legumes are of truly exceptional quality. We know that the product has been fastidiously and pridefully cared for every step of the way, from seed selection through distribution. We can’t recommend it enough to anyone that cares about sustainably grown (and delicious) products. The folks at Koda Farms embody all of the best aspects of traditional Japanese rice production as well as the agricultural ethos that we hold dear here in California. I've found their product to deliver the flavor, texture and consistency we need to meet our restaurant's rigorous standards. We couldn't be happier with having Robin and her Koda Farms family as our exclusive rice farm partner. 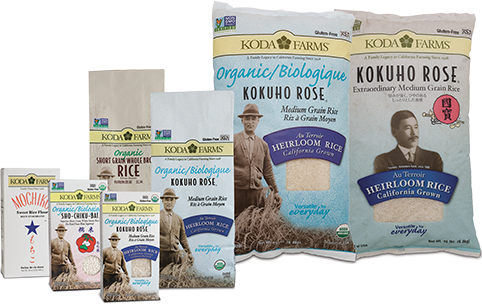 M Café has proudly served Koda Farms' Kokuho Rose heirloom varietal, organic brown rice for over 10 years now, and I can honestly say it is simply the best domestic brown rice available. Ross and Robin Koda are the real deal - third generation family farmers who embody and reflect the integrity of their product. My discerning mother was a big fan of Koda Farms' Kokuho Rose rice. Whenever she went back to Japan, she took this rice as a welcomed souvenir ("omiyage") from California. I first ate Koda Farms Kokuho Rose Heirloom brown rice in 1969 when I ordered 14 x hundred pound sacks for my new store, Essene. We instantly fell in love - its taste and satisfaction are incomparable to any other rice we have tried. My wife Susan and I eat it at home, use it in our seminars and classes, and recommend it to all of our clients. 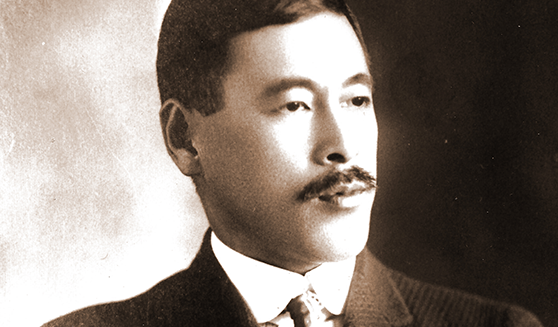 We're honored to be able to reinvent the mochi landscape with such exceptionally flavored rice, and one that comes with California history and heritage.